Common has another new project on the horizon. The rapper/actor is set to star alongside Forest Whitaker in the independent film "Pawn." Written by Jay Anthony White, the plot centers around an ex-con, who gets caught in between the Feds, local police and the mob. Perfect storyline for Common we might add.The film will start production on December 1st. 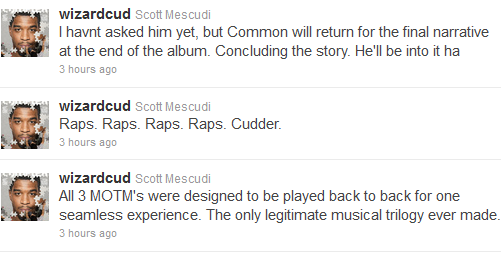 A new movie isn't the only thing Common is wanted for, rapper Kid Cudi tweeted that he would like Common to narrate on his third installment of his Man On The Moon trilogy. He hasn't asked yet, but he's pretty confident that Common will agree to it. Check out his tweets below.